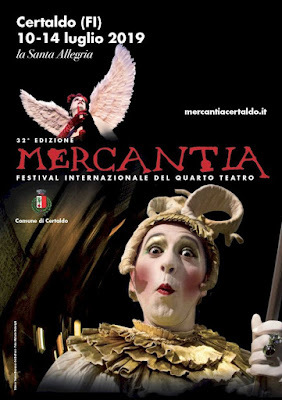 Mercantia, one of the best street theatre festivals in Europe, takes place this year, 2019, from 10 to 14 July in the attractive mediaeval walled town of Certaldo, Tuscany. Certaldo consists of the ancient Certalo Alto, on its hilltop, and Certaldo Basso, the modern part of the town in the valley below. Certaldo is very likely the place where Boccaccio was born and he certainly lived there towards the end of his life and regarded it as his hometown. 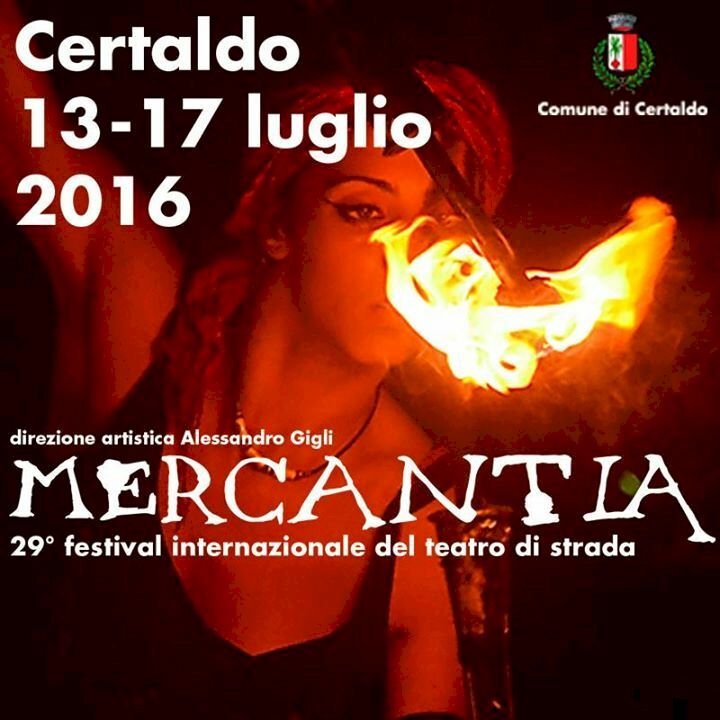 It's therefore appropriate that Certaldo should provide popular entertainment today in the form of Mercantia, its famous street theatre festival. 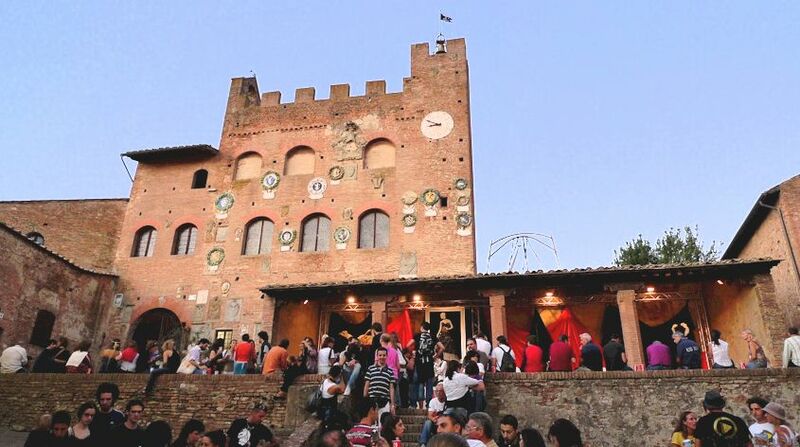 The festival takes place in Certaldo Alto, the ancient upper town which can be accessed easily by funicular or on foot. 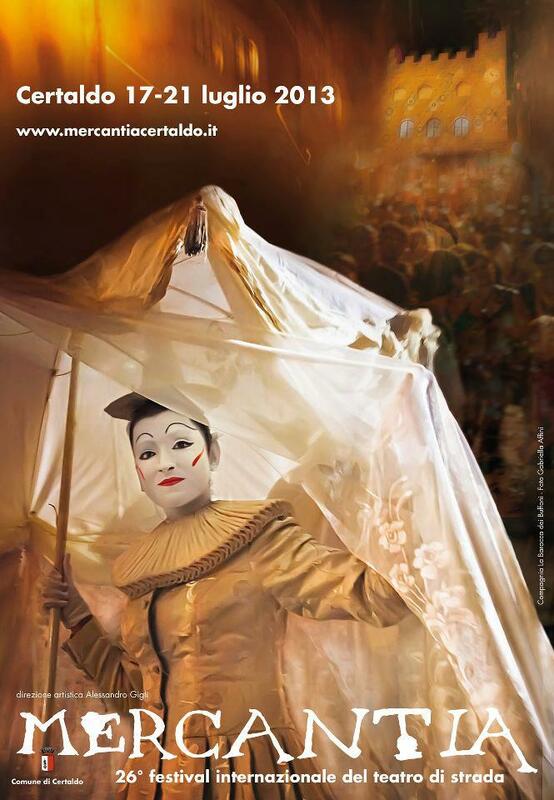 Within the walls, there will be dozens of performers along the few streets of the town and also inside the courtyards, where stages are set up to host clowns and comedians, contortionists and acrobats, puppeteers and ventriloquists, magicians and illusionists, fire-eaters and dancers, actors and street musicians. Tickets cost roughly €10.00 on Wednesday and Thursday, €12.00 on Friday and Sunday, €18.00 on Saturday. If you are planning to visit Mercantia more than once, you can buy the 5-day pass for about €30.00. I haven't seen the exact 2017 prices yet. In addition to the street theatrical performances in Certaldo Alto, Certaldo Basso is packed for the duration of the festival with street stalls selling hand-made jewellery, clothing, masks, various kinds of art, herbal remedies and beauty products, hand-crafted leatherware and shoes, and a wide range of other arts and crafts, all of varying quality and price. No ticket is required for Certaldo Basso. There are also some stalls in Certaldo Alto. Map of the main sights of Chianti. All content copyright © ammonet Web Site Promotion 2012 - 2019. All rights reserved. 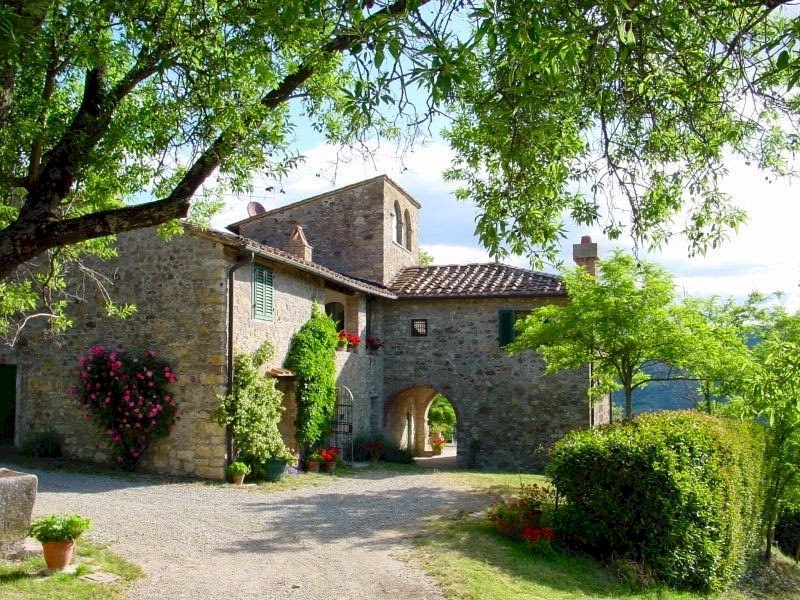 Where to rent an e-bike in Tuscany?